Fibroids are growths in the uterus that can be like smooth pieces of muscle. They can be the size of an egg or even the size of a small grapefruit. Fibroids can be incredibly disruptive and difficult to deal with, even causing bleeding and extreme discomfort. In most cases, doctors recommend surgery when a woman comes in with a fibroid, and in many, surgery is presented as the only option because of the large size of many fibroids. As with most chronic illnesses, medical communities don’t yet know the true cause of fibroids. There is only speculation and theory about why women sometimes get these growths in their reproductive systems. And, as with most chronic illnesses, the medical industry has convinced millions of women that their fibroids are related to their genes. In reality, fibroids have nothing to do with genes and are not hereditary at all. Science and research sometimes suggests that fibroids could be caused by estrogen, progesterone, or even too much red meat or alcohol. While some of these things may be connected to fibroids, they are not the true cause. The true cause of fibroids is a virus called Epstein-Barr Virus (EBV.) I have spoken about EBV at length in my books, especially Thyroid Healing, because it is the unknown root cause of a large number of health conditions and symptoms. As I brought to light in my book Medical Medium, there are over 60 varieties of EBV. Medical science and research only believe there to be one variety. If you are unfamiliar with this virus, you are likely aware of mononucleosis, which is the second stage of EBV. Oftentimes someone contracts mononucleosis as a child or when they are in their teens or 20s and then never truly eradicates the virus from their body. Because they are not given the proper tools to knock down the virus altogether and because science and research aren’t aware that EBV has multiple stages, of which mononucleosis is just stage two, EBV then continues to strengthen and proliferate, moving into further stages and causing many other illnesses and symptoms. In truth, almost everyone today has at least one variety of EBV. Estrogen does play a role in creating fibroids in women’s reproductive systems. However, it is not in the way that is often explained in alternative and medical health communities. Typically women’s own hormones are blamed for creating fibroids, but in reality the estrogen found in foods or other external sources is what can truly cause harm. The harmful kinds of estrogen are in eggs, dairy, red meat, plastics, solvents, and medications. While eggs and dairy are best avoided by everyone because they directly contribute to illness (read how in Thyroid Healing), the key with red meat, plastics, solvents, and medications is to consider if there’s ways you can reduce your intake of them where possible. This harmful estrogen is the one that needs to be eliminated from the body because otherwise it builds up in the liver and in turn harms the uterus. The liver gets so clogged up with poisons, toxins, and pathogens like EBV, which I explain in detail in Liver Rescue, that it cannot do its job to protect the reproductive system from harm. The liver traps the estrogen in order to protect you; but when the liver is too overloaded with toxins, the estrogen can be released but isn’t able to leave the body properly. The estrogen then saturates the uterus and contributes to the development of fibroids. The reason we need to focus on removing certain foods and adding in other ones is because diet is critical to healing fibroids. Certain foods, like eggs and dairy especially, trigger the Epstein-Barr virus to get into the reproductive system and create growths. Unfortunately, the only foods that science and research are willing to scorn in the arena of fibroids is red meat. While red meat does play a role because it contains adrenaline and estrogen, the worst offenders are eggs and dairy, two foods sadly often promoted within medical and alternative health communities as being helpful. Doctors and health practitioners haven’t been taught that these foods actually contribute to growing fibroids rapidly and this truth is simply not widely known. Most women are told that eggs and dairy are good for women’s health and are needed for protein and calcium. Products like yogurt and cottage cheese are proclaimed as not only good but very important for women. However, dairy and eggs are the worst thing for women’s health and should be avoided at all cost because they feed EBV, the virus that causes not only fibroids but a multitude of illnesses women often struggle with. Fibroids is directly caused by EBV, and EBV is fed by the consumption of eggs and dairy products, including the ones that are considered healthy like milk, eggs, cheese squares, and yogurt. Unfortunately, there are private panels of influencers supporting experts in the health field protecting eggs and keeping the truth from women who simply want to lead the healthiest lives they can. I have dedicated my life to getting this information into the hands of the people who need it most because there is so much misinformation out there misleading people. In addition to removing the EBV triggers, we can do something equally as powerful and just as critical: consume the foods that EBV hates. Fruit is the best thing to consume when trying to fight this virus because of the incredible antiviral properties it contains. Even though women are told misinformation about fruit being too high in sugar, do not remove fruit from your diet. You can read more and listen to my radio show on Fruit Fear and why fruit is so critical on my blog. While women are being told to eat yogurt, they should actually be encouraged to eat fruit because fruit goes hand-in-hand with the female reproductive system. Some powerful fruits you can include are apples, berries, mangoes, papayas, cherries, cranberries, and bananas. Eat banana smoothies with frozen or fresh berries, especially wild blueberries. Eat ripe mangoes for breakfast or a bowl full of grapes. Consume as much fruit as you like and experience the healing benefits of this amazing food. Something everyone can agree on is the importance of vegetables in your diet. Eat plenty of raw leafy greens and vegetables every day. Eat salads daily and add lettuces, specifically romaine lettuce, kale, spinach, celery, cucumber, zucchini, and fennel. You can even juice fennel or steam it and put it in a soup. You can also steam vegetables like potatoes and sweet potatoes. Make winter squash a staple in your diet and eat plenty of asparagus. Try juicing asparagus to help your fibroids shrink. There are also some herbs that can be helpful in reducing fibroids. Do not underestimate the power of these simple herbs, whether taken in capsule, tincture, or tea form. The first herb to consider is raspberry leaf, which levels out the bad hormones that feed EBV. Also, nettle leaf is an amazing gift for women, especially when healing from fibroids, because of its antiviral properties. Lemon balm is another herb that EBV hates because there are phytochemicals in this herb that go directly after the virus. Also, some ashwagandha goes a long way when healing from fibroids. Consider including these herbs into your regimen in order to reduce your fibroids and experience healing. Several years ago I helped a woman with her fibroids. She was told by her doctors that she needed a hysterectomy, but she wanted to heal naturally so she came to me for advice. The fibroid in her uterus was the size of a grapefruit and she was experiencing a great deal of bleeding. For 30 days she radically changed her diet and consumed mostly bananas and celery. She took the herbs that I recommended and ate a diet of fruits and vegetables. Then she returned to the doctors and they searched for the fibroid and could not find it. They were utterly complexed. The fibroid was completely gone and they were stunned. When she explained to them what she did, they did not believe her. Eventually, when they spoke to me on the phone about it, they laughed when I explained to them that she got rid of the fibroid by killing off the Epstein-Barr Virus that had caused the fibroids with the right foods and herbs, and that her mononucleosis from 30 years before was an earlier stage of the same virus that caused the fibroids. They may have laughed but she was free and living her live once again without pain and fear. Many women I have worked with over the decades have had healing experiences just like this one with fibroids. If you or someone you know is experiencing fibroids, please know I am providing this information so you can take control of your health. Now that you know what is causing the fibroids, you can take the necessary steps to kill off EBV and heal your reproductive system. I often speak about the power of knowing the cause because EBV begins to weaken and your immune system begins to strengthen as soon as you know the truth. Half the battle is knowing what is wrong, and the other half is knowing what to do about it. My book Thyroid Healing would be especially helpful to help you heal from fibroids and help prevent further fibroid growth also. If you are reading this, chances are that you or someone you love is one of the many people plagued by asthma. No matter what age asthma hits—whether you are facing adult-onset asthma or caring for a young person with childhood asthma—living with asthma can be a constant struggle. After all, the quality of our breathing affects our quality of life in more ways than one. The good news? You can heal from asthma. Once you understand its true causes, which are unknown by medical science and research, you can move forward with improving and healing this condition. In a way, asthma is similar to migraines in that you have to plan your life around both of these conditions. Before leaving the house, you may run through a checklist of questions: Will I be in an unfamiliar environment today? Did I pack my inhaler? Should I drive separately just in case? You may even question whether you are able to travel or experience new things. In short, nothing is simple when it comes to having a chronic illness, asthma included. Even if you find relief in knowing that your friends and family members have some awareness around asthma, or that there are millions of others who also struggle with it, this does not mean that asthma is normal or easy. The first step in addressing asthma, as is true for many things in life, is addressing your belief system. What you believe about your health—particularly what you believe about living with asthma—might be keeping you from truly healing. Take a moment to consider your thoughts around this condition. Do you believe that you can’t heal from asthma? Are you convinced that it’s just your lot in life and you’ll struggle with it forever? Do you believe you’ll always have to use an inhaler to manage it? Do you believe it’s an autoimmune condition where your body is attacking itself? If any of this sounds familiar, it is time to pause and reframe your beliefs about asthma and your health. As you’ll discover below, there are a few major culprits responsible for the onset of asthma and once you know them and apply the healing steps I share here and in my books, you can at least improve or even rid asthma from your life. It’s not a life sentence you have to live with anymore, nor is your body or immune system attacking itself. For more on what I call the “autoimmune confusion,” why so many health conditions are incorrectly labeled autoimmune, and why this belief could be preventing you from healing, read the chapter on this topic in my book, Thyroid Healing. To start, it is important to note that there are different types of asthma, not just one as medical communities believe. These include neurological asthma, vagus nerve asthma and phrenic nerve asthma, toxic heavy metal exposure asthma, and asthma caused by underlying viral conditions such as Epstein-Barr. None of these types and causes of asthma are understood by medical science and research. Low grade viruses in the body can inflame the nerves and result in limited breathing. These breathing issues can leave doctors scratching their heads. A pulmonologist, for example, might not be sure of the cause of these symptoms, but will most likely assume one of two things: asthma or anxiety. Diagnosing patients that have breathing issues with anxiety is a common occurrence—and they can be linked due to the fact that asthmatic symptoms, including tightness of chest, are nerve related, but the cause of the nerve issues are still not understood. And, when the breath is limited, the adrenals start releasing a lot of adrenaline. For many people, this results in a trip to the emergency room where the ER doctor might think their symptoms are indicative of the flu, anxiety, or a panic attack. Or if an asthma diagnosis is given, patients are often told it’s an autoimmune condition or a genetic condition. This is another incorrect theory I address and explain in detail in Thyroid Healing. What’s really happening is that there is a low grade viral infection in the body. As I share in Thyroid Healing, there are stages a virus like Epstein-Barr virus, goes through and in the later stages, the viruses produce neurotoxins, which are poisons that disrupt nerve function. Medical communities haven’t yet discovered this truth so they are unable to give you the correct information about what’s behind your asthma, or any answer at all. From a neurological perspective, when you think about asthma, it is essential to consider the vagus nerve, which runs from the brain into the neck and chest and controls the abdomen and the function of the lungs. Equally significant is the phrenic nerve, which runs through the neck into the chest on each side. Both the vagus and phrenic nerves can do funny things in the chest, especially when there is a viral issue developing. Neuro-asthma, for instance, is common among university students who are staying up late to study and party, and who are under real stress for the first time. What they are likely unaware of is a developing case of mononucleosis (caused by the Epstein-Barr virus which I address extensively in Thyroid Healing) and/or streptococcus that could have been brewing for years, and which is triggered under stressful conditions. For more detailed information on streptococcus, check out my book Liver Rescue. Medical science and research don’t yet know that when a virus is present in the system, neurotoxins are released from the liver, float around in the body, and inevitably touch the vagus and phrenic nerves causing inflammation and irritation in the chest—two of the symptoms of neuro-asthma. Viruses are behind a countless number of chronic mystery illnesses. Asthma is no exception. Another cause of neuro-asthma is toxic heavy metals, which feed viruses that then excrete the neurotoxins that inflame the phrenic and vagus nerves that are affected in cases of asthma. Both children and adults can be exposed to toxic heavy metals easily. Doing the Medical Medium heavy metal detox protocol is extremely important for anyone with asthma. Emotional stress and hardships can also be a trigger to underlying viral or bacterial conditions or lead to the release of excess adrenaline, all of which can lead to the onset of asthma. Emotional neuro-asthma can present with similar symptoms to other brain related asthmas. For any of these types of asthmas, inhalers are often prescribed. While inhalers can ease someone’s symptoms because steroids calm the nerves, they don’t address the root cause and are not a cure. Environmental irritants can also play a role in asthma. Separate from these different neuro-asthmas is inflamed bronchial asthma. When irritants are inhaled into the lungs they can trigger the inflammation of the lungs and bronchial passageways. These triggers—i.e. dust, dirt, asbestos, etc.—can be hard to avoid, especially if you are in a line of work such as woodworking, home construction, or engineering. In these environments, the bronchial tubes can become hypersensitive. Inhalers can help ease symptoms temporarily, but if you are suffering from chronic asthma and use your inhaler a lot, you may become immune to the steroids at some point. So what exactly causes inflammation? When contaminants enter the lungs and the body cannot expel them easily or quickly enough, they cling to the bronchial walls causing irritation. In this case, these contaminants sit on the mucus lining of the bronchial tubes, shifting back and forth as you breathe and your lungs expand and contract. What this means is that these contaminants are essentially acting like sandpaper. As they collect over time, they get stuck in the mucus lining, causing the bronchial tubes to become increasingly irritated. But environmental irritants are not solely to blame. Mucus plays a key role in the inflammation of the lungs and the weakening of the immune system. Mucus exists in everyone’s body. At its best, mucus is a protective mechanism. We need to have healthy mucus in order to have a healthy immune system. The throat is an excellent example of this. A thin lining of mucus coats your throat so that you don’t get a sore throat when you speak all day. However, there are places mucus should not be: the liver, the lymphatic system, the bloodstream, or our internal organs. Very simply, our bodies cannot get rid of the contaminants in healthy mucus if we have a build-up of mucus where it does not belong. Why? Excess mucus becomes hardened and putrefied. This keeps whatever irritants that are in your lungs from leaving the body. Unlike this unhealthy mucus build-up, healthy mucus produced when you have a cold is the body’s way of fighting a virus. Healthy mucus allows the body to locate the virus and destroy it. So what causes this excess of mucus anyway? The answer: what you eat. If your diet is loaded with mucus producing foods, the healthy mucus can’t do its job to rid contaminants from the lungs. The body needs to be in good standing to use mucus effectively. Too much mucus increases inflammation, which only prolongs and intensifies breathing troubles and other asthmatic symptoms. The first step to clearing mucus from the body is eliminating dairy products, including milk, kefir, butter, cream, and cheese. If you are vegan or plant-based, this includes non-dairy cheeses, too, because soy is a mucus producing food and nut and seed based cheeses are typically very high in fat or fermented, which is hard on the liver as I explain in Liver Rescue. Eggs are another food that’s critical to avoid because they feed viruses in the body. As you now know, underlying viruses can cause and worsen asthma. Whether you are dealing with viral, neuro or bronchial asthma, eliminating eggs will help you lower the amount of mucus, and therefore the amount of inflammation, in your body. Additionally, removing canola oil, soy, and pork will also start you on the path to healing. The fat content in each of these foods keep mucus from leaving the body in a natural, speedy manner. It’s for this same reason that it’s helpful to reduce the fat content in your diet in general if you’re wanting to heal from asthma. If you eat a plant based diet, lower the oils, seeds, and nuts in your diet by 50%. If you eat animal products, which are inherently high in fat, aim to only have them once a day at most or ideally two to three times a week at most while healing. If you’d like to heal asthma as quickly and easily as possible, it could be very helpful to consider a plant based diet until you are free from your symptoms. Grains are also best avoided when healing asthma, although a small amount of millet can be okay for some people. Learn more about grains and what’s good to eat and avoid in my show Truth About Grains. Similarly, try not to eat too many beans while healing from asthma. A little bit of chickpeas, hummus, and the occasional serving of lentils can be ok for some. What foods can you incorporate more of into your diet? While you shouldn’t overindulge on nuts or fats, a little bit of hemp seeds and walnuts are beneficial for healing, along with some avocado. A larger focus should be placed on seeds than nuts, including pumpkin or sunflower. Do eat plenty of fruits and potatoes, including sweet potatoes, as well as different varieties of squash (summer, kabocha, spaghetti, etc.). Eating lots of raw veggies, leafy greens like spinach, and salads will also help mucus find its way out of the body by pushing it out of the liver and intestinal tract and through the body’s lymphatic channels. Another healing food to add to your shopping list: ginger. Regardless of the type of asthma you are struggling with, ginger will help boost your immune system, provide you with plenty of brain-friendly antioxidants, and reduce inflammation. And the most important food group of all is fresh fruit. Don’t be misled by anyone suggesting fruit is too high in sugar or should be avoided if you’re unwell. This is harmful misinformation. In truth, fruit is the most important food for healing any chronic illness, including asthma. 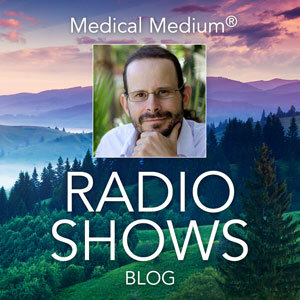 To find out more about why fruit is so important for you and yet why it’s common today to hear it should be avoided, listen to my radio show and read my article on Fruit Fear. 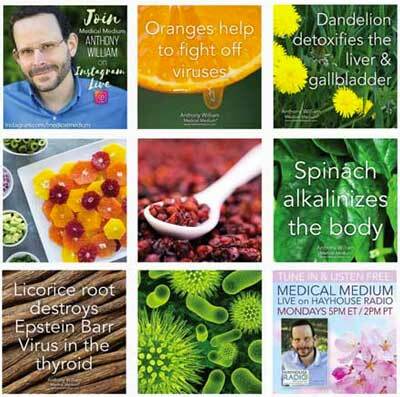 The Medical Medium 28 Day Cleanse that I share in my book, Medical Medium, is a wonderful way to jump-start your healing and fight asthma, too. You can choose to do the cleanse for one to three months (or much longer if you wish). Also consider bringing in the highly-beneficial (and delicious) Heavy Metal Detox Smoothie, which is the only truly effective way to rid toxic metals completely from the body. Drink this smoothie daily for as long as possible. Some helpful supplements to consider include B12 with adenosylcobalamin and methylcobalamin, vitamin C as either Liposomal C or Ester C, NAC, and a bit of MSM. Nettle leaf, lemon balm, and some zinc sulfate are also helpful. The key here is not to load up on too many supplements too quickly, but to focus first on cleaning up your diet by removing the Foods To Avoid, adding in a lot more healing fruits, leafy greens, and vegetables, and then slowly bringing in some supplements. It is possible to heal and to no longer need your inhaler. Healing foods that don’t produce mucus and in fact reduce and eliminate it are the place to start—and the key is consistency. Also be sure to avoid environmental irritants such as artificial fragrances like cologne and perfume whenever possible. These fragrances area a trigger to asthma and all other chronic illnesses. This also includes air fresheners, scented candles, dryer sheets, industrial cleaning products, aerosols, and harsh detergents to name a few. If you are required to be around these items for work or any other reason, protect yourself with a safety mask if possible. Last, but never least, drink your celery juice! Celery juice does wonders for calming and healing the nerves and starves pathogens that produce the neurotoxins responsible for so many chronic illnesses. As with any illness, healing takes time, but now that you finally know the truth about the causes of asthma and the foods you can eat to decrease mucus production, starve pathogens and heal the nerves inflamed in your body, you are one step closer to experiencing the freedom that comes with always being able to take deep full breaths. You deserve nothing less. If you are struggling with a mystery illness that doctors have been unable to give answers for or you’ve spent time searching for answers to your health symptoms online, you may have come across the rumor that lectins in fruits and vegetables are behind your symptoms. This theory is just that—a theory. It is not true and this false information is contributing to people becoming more confused and in that confusion, people become afraid of the very foods that heal the body, which are fruits and vegetables. It’s critical that you get the real answers you need that can help you and your loved ones heal. Part of that is knowing the truth about lectins. Back in the 1940s and 1950s hoards of people began complaining of mysterious symptoms that now have been given many names and labels, but the true causes of these symptoms are still unknown by science and research. Doctors simply could not explain what was happening to people with fatigue, headaches, brain fog, weight gain, hair loss, vertigo, depression, or anxiety, to name just a few. Rather than admitting they did not know and focusing on discovering a true answer, they told people, mostly women, that it was all in their heads. Dismissing patients like this was common practice. The next trend to explain away mysterious illness was to blame everything on hormones. This was an easy sell because of how many patients happened to be experiencing symptoms around the time of menopause, even though pre 1940 these symptoms did not exist. 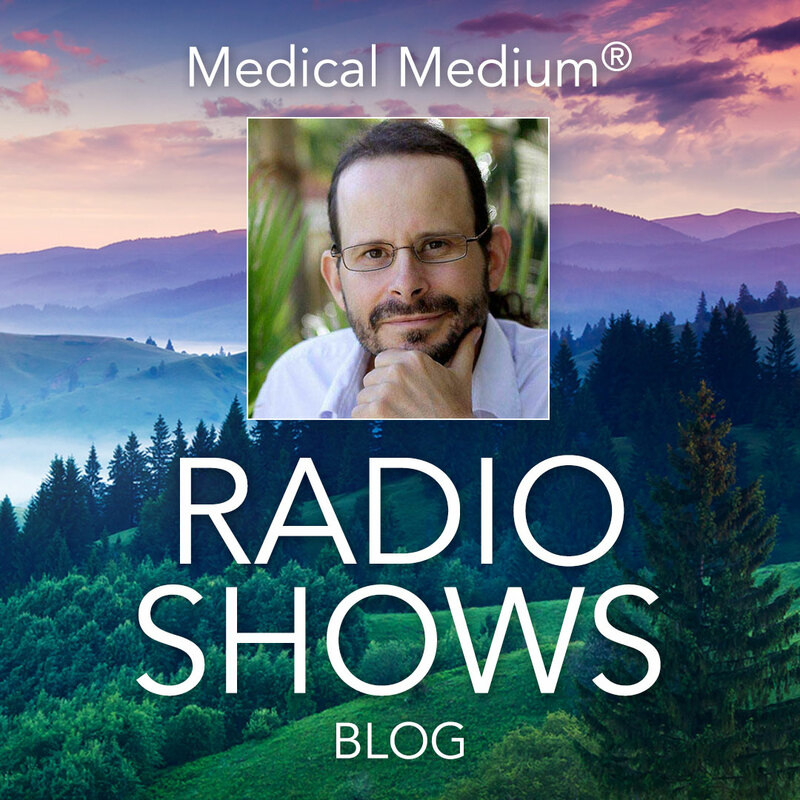 I explain more about why hormones have been incorrectly blamed for many conditions and symptoms in Medical Medium and Thyroid Healing. The next and most common scapegoat today is the autoimmune theory. Nowadays an autoimmune diagnosis is alarmingly common. This theory has become law and is being taken as absolute truth despite it also only being a theory from the beginning. As I have explained in many of my resources, such as my book Thyroid Healing, the autoimmune theory is completely inaccurate. The truth is that our bodies are incapable of attacking themselves. It is impossible for a single cell in the human body to start working against itself, regardless of what you may have been told. It’s critical to fully understand this truth. Another current trend is to say that you create your own illness. If you have been experiencing chronic illness, you may have heard a well-meaning friend or even a health professional tell you that you are not spiritually aligned and therefore it is the plan for your life that you remain sick until you heal on a spiritual level. Or you may have heard that your negative thoughts created your illness, that you manifested it with your actions, or that it’s your karma. These are all untrue and should be avoided immediately. They will only distance you further from healing. Another falsehood is believing that foods are causing your illness, which is another example of misinformation. Foods can absolutely contribute to illness but they’re not the root cause of illness, though they are related more closely than the other misleading theories explained above. Pathogens, such as viruses and bacteria, cause illness, and certain foods either feed these pathogens or fight them. When a pathogen is strengthened by eating its favorite foods, it excretes poisons, causing inflammation and a long list of symptoms medical and alternative health communities still have no real answers for. One example of a trendy and inaccurate answer for chronic illness is the lectin theory. This a theory that has been confusing and misleading people for years and it is time to set the record straight. Chronically sick people are unable to heal when they are unknowingly being fed misinformation and lies. This particular theory is not merely confusing, it keeps people from eating the very foods that will combat the pathogens they need to be fighting. The lectin theory essentially claims that we are not meant to eat certain foods because of a carbohydrate-binding protein that is present in all fruits, vegetables, legumes, nuts, and grains. Proponents of this theory claim lectins are the reason for all illnesses today. The concern is that certain foods are particularly high in lectins and should be avoided. These foods include beans, potatoes, tomatoes, and many more. It is easy to convince people that this theory is truth because the overwhelming majority of people today believe carbohydrates, even healthy ones, are bad for you. The theory says that lectins cause the body to turn against itself by triggering autoimmune and inflammation reactions. We are told that we cannot digest lectins and therefore the human body produces antibodies to reject them. Proponents of the lectin theory only advocate for eating a high-fat and high-protein animal based diet. But whether a diet is animal based, vegetarian, or vegan, high protein and high fat diets will contribute to more illness. They promote fruit fear and often suggest avoiding fruit altogether. This type of diet in turn destroys the liver and makes it that much more difficult to heal. When people do experience some healing on high-fat, high-protein diets (which are one and the same), this could be due to the processed foods they have also eliminated. However, it is not the lectins in processed foods that were causing problems; it was other plant and animal food compounds naturally occuring in bread, eggs, dairy, and rancid oils in those processed foods being consumed that were feeding pathogens. The leaders of the anti-lectin movement are completely in the dark about chronic illness. First of all, they believe in the autoimmune theory which suggests that your immune system attacks and destroys your own body and that lectins and genes are to blame. They are unaware that hundreds of thousands of people over the decades have healed from mystery symptoms by eating the very fruits and vegetables they are now being told to avoid because of lectins. In fact, these anti-lectin leaders pretend no one has healed from chronic illness eating fruits and vegetables. People are told potatoes are a terrible food for them because of the lectins; however, I have seen thousands of people heal from diseases like rheumatoid arthritis (RA), multiple sclerosis (MS), and diabetes by making potatoes a main source of calories in their diet. I have also witnessed chronically ill people with severe digestive conditions heal and recover by just eating potatoes alone. If they hadn’t had that option, they would either be still sick or gravely worse. Anti-lectin leaders do not know about how pathogens, the actually guilty offenders that cause disease, truly work and the role they play in our bodies and chronic illness. Pathogens like the Epstein-Barr Virus (EBV), streptococcus, and shingles are the ones to blame, not lectins in potatoes. EBV, for example, is the true cause of RA, and those who tell you not to eat potatoes do not know this. Nor do they know that potatoes are helpful for healing this condition. If one does not understand the true cause of an illness, what qualifies them to tell you to avoid eating certain foods in order to heal? Rather than avoiding potatoes, avoid the cheese, butter, sour cream, oils, and bacon bits often eaten with potatoes. These other foods are the real culprit, not the potato. Furthermore, what anti-lectin leaders do not know is that pathogens eat and have foods they favor. On top of not understanding that viruses and bacteria are the true culprits in chronic illness, they do not understand how pathogens work at all because the information I’ve shared in my books that reveals the truth about pathogens is still undiscovered. When we begin to learn that viruses and bacteria exist just like any other species, eating and excreting their way through life, we realize we need to remove the foods that make pathogens stronger and increase the foods that weaken them. For example, the foods that pathogens love to feed on include eggs, dairy, gluten, corn, soy, canola oil, and toxic heavy metals. Foods that are antibacterial and antiviral are foods like fruits, leafy greens, vegetables, garlic, onions, herbs, spices, potatoes, and sweet potatoes. I have a large amount of material explaining how pathogens feed and excrete, but the most comprehensive explanation is in my book, Thyroid Healing. While it is uncomfortable to talk about, in chronic illness most research and science is biased and cannot be trusted because medical research is driven by money. When reading a study, always know investors were most likely involved and outcomes of the study are persuaded by these investors. Science and research in the medical and alternative health world is fraught with non-truths and misleading information that are often intended to be confusing for the general public. Lectin studies are perfect examples of this. Rather than search for the truth in their studies, researchers are searching for ways to make their study fit into the larger current trends of the day. If the trend is around lectins, more studies are going to come out about how lectins are bad for you. Another way researchers are influenced is by their understandable desire to advance their career by fitting into the current trend. It is simply bad for business to conduct a study that does not result in something a researcher can confidently hang their hat on. This is the uncomfortable truth about the medical industry: research and science when dealing with mystery chronic illness is not about getting people better; it is about personal career and income growth and massive funding. To be clear, I’m not talking about the countless incredible health professionals in both the medical and alternative health world who are deeply committed to helping their clients heal. The large majority of these women and men are compassionate and dedicated healers who genuinely want the best for their clients. It’s the industries, not the individual doctors and healers, that are the source of the problem. Do not let anyone confuse you into believing the lectins in fruits and vegetables will keep you sick or make you sicker. Do not fall into the trap of believing lectins are like the toxic alkaloids produced by some wild plants that are not fit for human consumption. To understand this further, picture a deer in the wild consuming plants, fruits, acorns, and nuts that it knows are safe to eat. When the deer starts to chew into a twig, shoot, or sapling that humans are not meant to eat, alkaloids and enzymes will surface on the plant to repel the deer, as well as other wild animals, to prevent them from continuing to eat it. Keep in mind, these are alkaloids and enzymes, not lectins on wild foods that are not meant for humans to eat. When you are in your vegetable garden or even in the wild and come across a plant that produces food fit for human consumption, such as a tomato or a blackberry, no such reaction will occur. Fruits and vegetables have been given to us to be eaten in abundance, not to be feared, and they kill off pathogens versus feeding them. It is popular today to fear bananas, especially ripe bananas, because of their sugar content. However, this is one myth I am dedicated to debunking. Bananas are one of the most antiviral and antibacterial foods available to us today, and they just happen to be delicious, versatile, typically affordable, and available to many people year round. What a wonderful food! A ripe banana actually has the ability to help heal colitis, and reverse crohn’s disease. I have witnessed this so many times I cannot count. Someone is struggling with mystery symptoms, especially those related to digestive health, and then they begin to eat just bananas and celery juice, two incredibly healing foods, and their symptoms completely reverse. Colitis is not the body attacking itself. It is a viral condition where the virus is sitting in the linings of the colon, growing all the more when you eat the wrong foods. Bananas, however, have the power to stop the virus and bring forth true healing. They bring down inflammation by fighting pathogens that cause inflammation. Proponents of lectin fear will advise you only to eat bananas when they are green due to a lower sugar content. However, green bananas are not a healing food; they are extremely difficult to digest and they irritate the gut linings, only causing more problems. Ripe bananas that have some spots, though, heal the intestinal linings. In fact, we are often naturally more attracted to the bright yellow color of ripe bananas and their increasingly sweet flavor. If you are one of those people who has trouble eating ripe bananas due to the texture, try peeling and freezing them when they are yellow, spotty, and have no green on the tip. Then put the frozen fruit into a blender and make a delicious smoothie or banana ice cream. Most people can consume bananas this way and then can experience the mindblowing benefits they offer. Tomatoes are another innocent fruit under attack from the anti-lectin movement. A sub-trend within the anti-lectin movement claims that because tomatoes are a nightshade, they are toxic for humans to consume. This cannot be further from the truth. It is another unfortunate myth that has been masquerading itself as fact for too long. The truth is tomatoes can help stop cancer cells from multiplying. They can help reverse diabetes and help heal the liver. They are a powerful food that supports the immune system in ways no other fruit can. The rumor that nightshades are unhealthy keeps people in fear of the very fruit that will help them take massive steps toward healing. Nightshades are fruits and vegetables that may blossom during the night. Tomato plants do actually need powerful sunlight in order to grow and thrive. However, they have a unique ability to blossom in the moonlight if the moon is strong enough; and when it does, the tomato harbors a unique variety of vitamin C that is stronger than any other. This vitamin C is so powerful that it fights pathogens in a unique way and stops many illnesses from developing. It also helps fight pathogens that are involved with 98% of cancers as I explain in detail in my book, Thyroid Healing. While many people have reported adverse reactions when eating tomatoes, we have to stop and consider what they were eating the tomato with. Tomatoes are very popular to eat with foods that harm us, like dairy in the form of cheese or butter, the gluten in pasta with marinara sauce, the cheese and gluten in pizza, fried with lots of vegetable oil, or as a marinade or sauce on top of a fatty cut of meat that’s hard on the liver. Tomatoes are not the reason for bad reactions when eating these foods. Instead, try eating a sliced ripe tomato on top of a bed of fresh spinach with lemon juice and avocado. Or eat them in a fresh salsa with mango, basil and onion. When eaten in their natural form without harmful foods, they will actually bring you closer to healing, rather than holding you back from it. The lectin theory has not been around that long, yet so many people accept this theory as truth and are missing out on vital nutrients from healing fruits and vegetables as a result. If you are suffering from mysterious symptoms, do not avoid fruits and vegetables just because they are touted to be high in lectins. I encourage you to eat more potatoes, tomatoes, and bananas because these foods are your greatest weapons against pathogens, both viral and bacterial. If you have come to this article to learn more about lectins and are just now discovering the education material I provide, I recommend looking into my books Medical Medium, Life-Changing Foods, Thyroid Healing and Liver Rescue where I discuss the true causes of certain diseases and conditions. I do this to empower people with the correct answers, the only ones that will bring you true lasting health. The only way to actually heal is to be armed with the truth about your condition and how to fight it.